When Doreen was merely 3 months old, she was thrown out onto the street. A tiny puppy without the protection of her mom, Doreen was bullied by the strays on the street. She did not have a roof over her head, nor did she know how to find food, so she wandered about the roads and streets, trying to find something to eat. She scurried to and fro, not understanding the danger of the roads; when she saw a person approaching, she would try to get close and grovel to them, trying to find someone that will take her. Oftentimes when she encountered people that hated dogs, she would be kicked and beaten. Our volunteers saw her and worried that she would not last long enough to have a chance to grow up, therefore they took her away and try to find her a home. They named her Doreen, hoping that a new name would bring her some good luck. Doreen has a very flexible nature, and can quickly adapt to new environments. 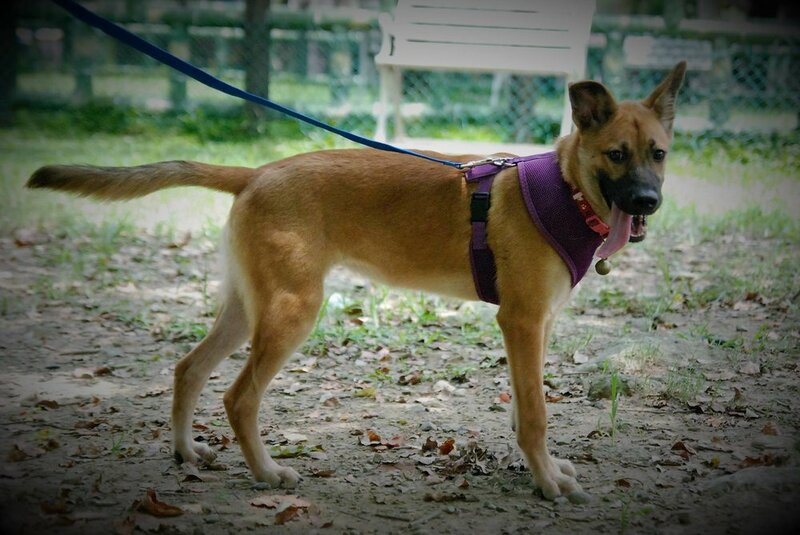 She likes to play with other dogs, and although unpleasant memories of being bullied by other stray dogs caused her to be a bit tentative at first, she will get along wonderfully with other dogs once she gets to know them. She is lively and outgoing, very smart and very observant. She can sit quietly by your side when you watch TV, but will be attentive when you feel down. She is happy when you are in a good mood, and be your most faithful companion when you need someone by your side. Tested NEGATIVE for Heartworm, Lyme, Ehrlichia Canis, Anaplasma Platys, Giardia. All medical records provided upon adoption.